This addon allows you to filter players from the roster list in the guild menu by alliance and online status. Development has been stopped and it will be replaced by Social Indicators 2.0 in the future. I'd sure like to see this updated with which campaign people are playing in Cyrodil if that's even possible. The API doesn't tell us which campaign another player is in, so unfortunately not possible. 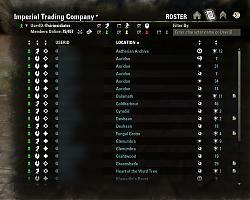 EDIT: if you are in a guild and use Aetherius Badge Filter, you could set it up so that every member has a note which tells you which campaign they are assigned to. That way you can filter for them. Last edited by sirinsidiator : 06/27/16 at 10:43 AM. 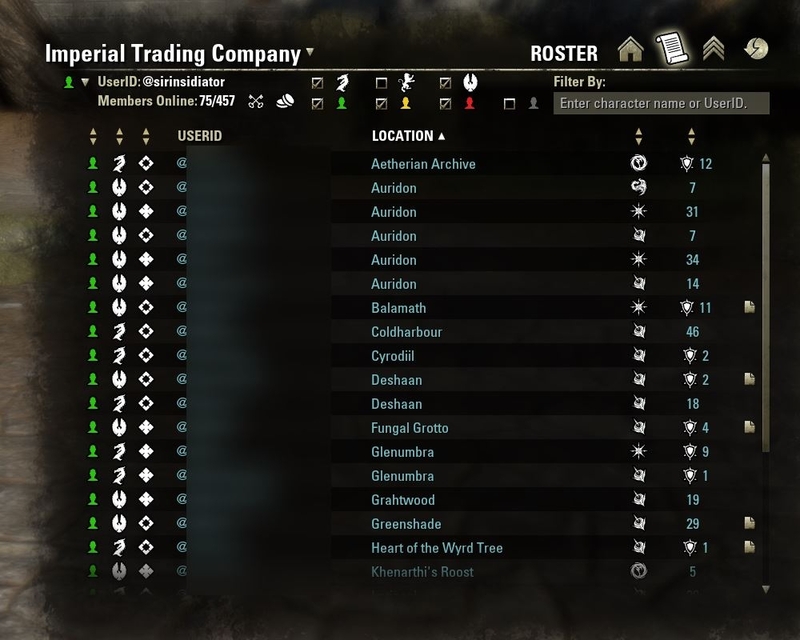 Due to the new ESO update, there's now a "native" "Hide Offline" feature under the Guild Roster. It kinda conflicts with your addon, as they're on top of each other. If possible, removing this new native checkbox so that only the ones from your addon appear would probably solve it. It's not exactly abandoned. The functionality will be merged with Social Indicators in its next release and there will be a few new features that will blow your mind. I just haven't had the time to finalize that yet. My local build looks pretty fresh. Just needs a bit more work until I can share it. Hi, can u add Suma of Achievement's points for actually online character of player? Do you mean your own character's achievement points? You can already see them in your quest journal on the achievement tab. I mean add for all members in roster. We have guild event about champion of achievement points, but is very difficult to get this informations from other members. Sorry. That's not possible. The API does not give this information about other players, only about yourself. 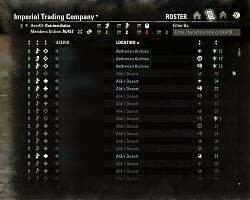 could u make the addon compatible with master merchant? 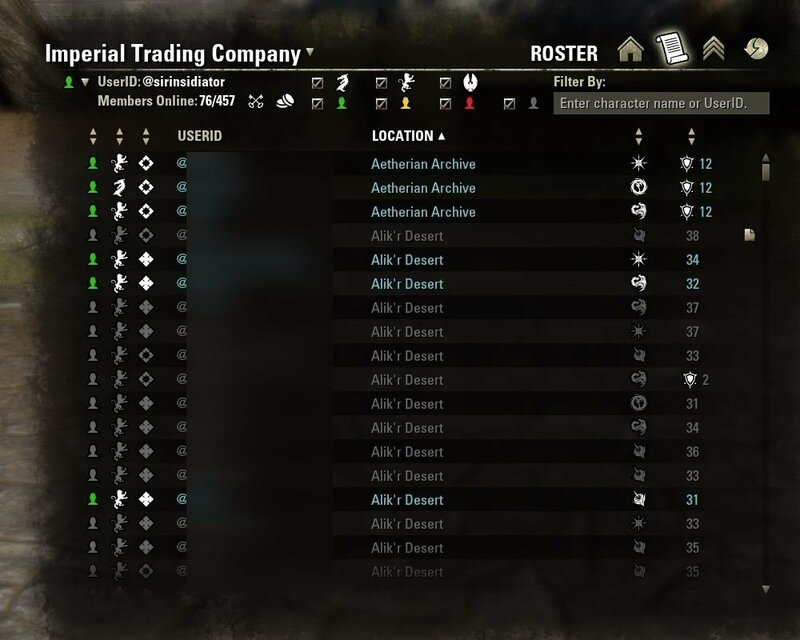 more specifically the option in master merchant that shows sales in guild roster. can you consider to add this feature pls? Oh thank God for this one! I have submitted suggestions to the developers to at LEAST let us filter out people that are offline, but nope, nothing. Sorting the roster by any of the columns is pretty much useless if you can't filter out offline people. Thanks for this!